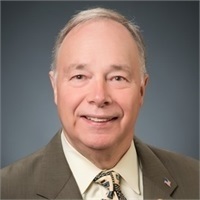 Dennis Breitenstein was the founder of City Financial Group and he retired from the industry in 2017. Dennis founded CFG in 1982 with the mission to provide personalized service to every client. Treating clients as they wanted to be treated, the business became known for that personal touch, transforming what could have been just a business transaction, into an on-going relationship. That philosophy manifests itself in multi-generations of clients. Dennis has long been actively involved in the Vancouver community. He has been an active member of the Rotary Club of Greater Clark County since 1988, including holding the position of President of the Foundation Board; Sponsor of the Vancouver Parks and Recreation's Luepke Senior Center annual Halloween Dance; Past President of Vancouver Senior Voluntary Advisor Board; Former Board member of Clark County Parks Foundation (Recipient of Board Member of the Year 2007). Dennis was the 1992 recipient of the first annual Evergreen Award for outstanding community service to the Vancouver Parks and Recreation Department. Dennis along with his wife Linda are active with "Lunch Buddies" at Hazel Dell Elementary School. Dennis' hobbies include pheasant with his favorite pals, Chewie and Sadie - his Lab/German short hair dogs; duck hunting, fishing, playing tennis (member Club Green Meadows), traveling to see his grandson in Minnesota, gardening, wood working, and enjoying activities with his family. Dennis Breitenstein is not affiliated or registered with KMS Financial Services. Any information provided by him is provided entirely on his behalf and is in no way related to KMS Financial Services or its registered representatives.